So as promised in our last post, we bring you then man behind the music in Daniel and Adriana's wedding film. 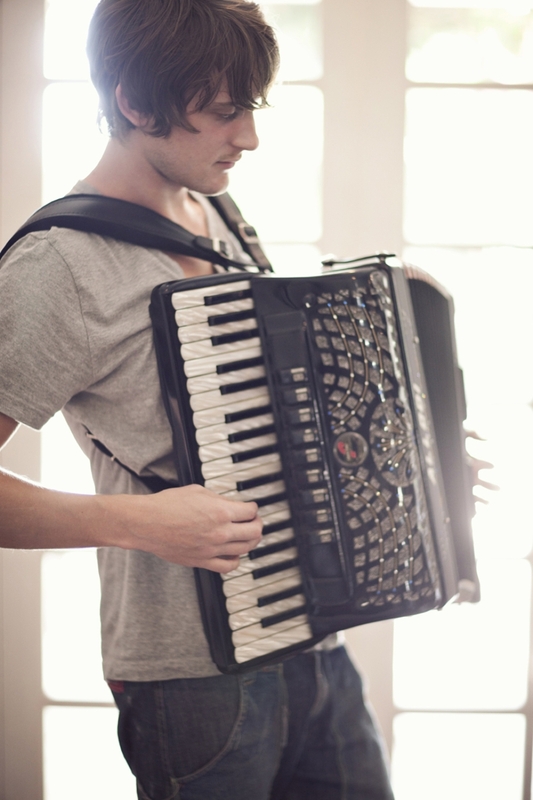 A fantastic recording artist, composer, accordion 'Yoda' and all round great guy....Dave Thomas. Dave is a remarkable English musician and composer who has gained rapid momentum thanks to the marriage of Youtube and his remarkable talents with instruments. 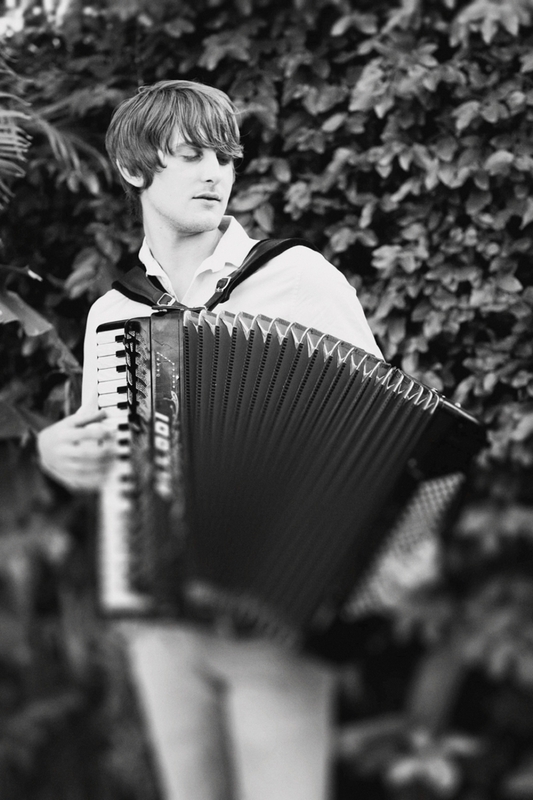 Performing beautifully on the piano and accordion, Dave often marries the two together, the organic and metallic sounds melting into a precious lullaby. He started out by shooting videos simply in his bedroom which have to date accrued over 15 million views on his Youtube channel. Check out one of his new videos, 'Waking Dream'. He was personally selected and flown out from London by the bride and groom, to soundtrack the actual wedding day in Buzios, Brazil. His wonderful playing added an incredible atmosphere to the whole wedding day, particularly surrounding the service and the first dance. 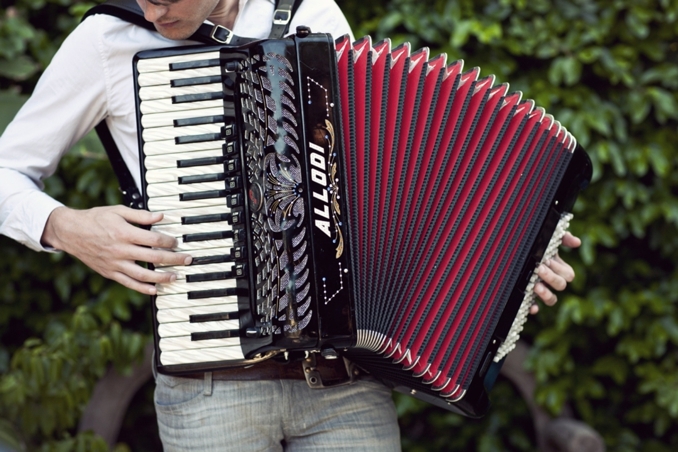 The sumptuous soundscapes of dreamy accordion tones are featured throughout much of our film to great effect. We managed to grab a short interview with him (over a few cerveja's of course!) in Brazil, to ask him what it was like to travel to the beautiful city of Buzios and play a gig like this! So Dave, How did you find out you were coming to Brazil to soundtrack this incredible wedding? "This opportunity came as a wonderful surprise. I actually lived in Brazil a few years ago for half a year, which was one of the most incredible eye-opening experiences. I took a lot of inspiration from the rich musical heritage and learnt enough Portuguese to integrate into the amazing Brazilian culture. I always knew I´d be going back. I remember when Daniel first contacted me saying that both he and and Adrianna had enjoyed my online videos and wanted to invite me to play at their wedding, not only giving me the opportunity to return to a country which I love, but offering me some shows of my own during my stay. I was so happy for this news as you can imagine, and plus I have a lot of followers in South America who seemed as excited as I was to be able to perform here." It must have been a very different experience for you! I imagine it to be quite surreal to be playing in a situation like this. How was it as an artist? "Well as an artist, I can’t speak for the profession in general. But I can say that this was really something else - I was travelling through beautiful places, eating amazing food and socialising with all bride and grooms family and friends as if I was one of their own. I felt so welcomed with these people, that come the big day it was a pleasure for me to provide the soundtrack for the special event. It almost didn't feel like a wedding at all, the atmosphere was like nothing I have experienced before and just incredible to be a part of." Obviously much of your own wonderful work is a combination of accordion and piano, but the music you played at the wedding was all on accordion. What tracks did you play on the day? "At the wedding itself, I performed a mixture of Yann Tiersen covers from the soundtrack to 2001’s “Amelie”, a few of my original music and some songs specifically chosen by Daniel and Adri for the event. On of those I played for them was the theme music to Fellinis “Amarcord”, which I played for their first dance." Can you wrap up the whole experience in ten words or less?! "Honestly, I have so many happy memories of the whole adventure, it would be too hard to condense the experience into just a few words. I think what made it special is that in this case when it comes to the happy couple Daniel and Adriana, they simply make beautiful things happen and people are drawn to them. The fusion of the guests, family, and the location were simply perfect. I am very grateful to have had the opportunity to meet them, soundtrack their day and now I count them as good friends!" Thanks Dave for your time, and even more for your superb music!